Blogging from a home office or about working from home is becoming more and more popular. 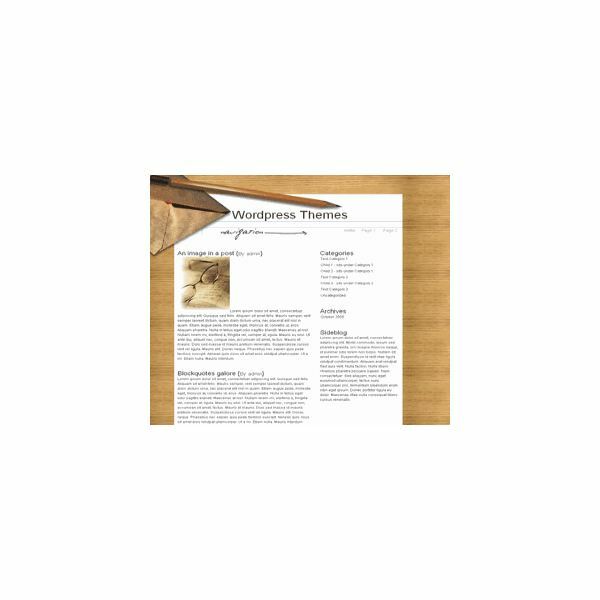 If you’re looking for a WordPress home office theme, keep reading, because we’ve rounded up the 5 best themes online. Each theme has a screenshot, download link, complete feature list, and reviewer opinion of it. 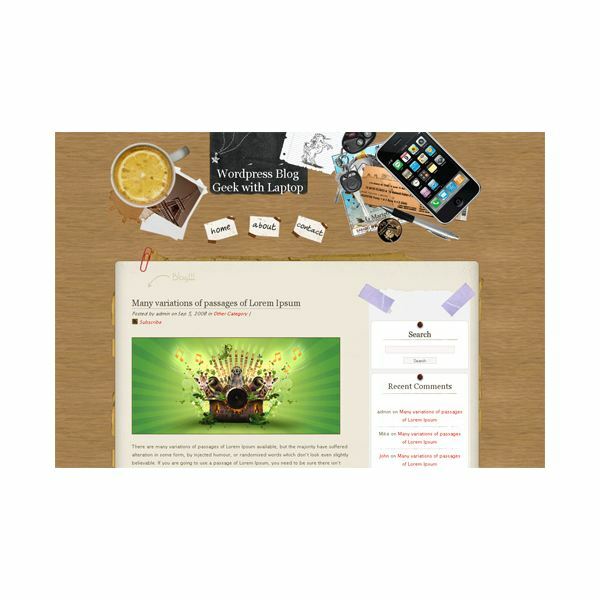 A casual home office theme, Office Theme is free and sports a subdued brown palette with realistic 3D background artwork of a desktop, envelope, and pencil. It’s fixed width and 2 columns with a right sidebar, widget ready, and features tested valid XHTML and CSS. 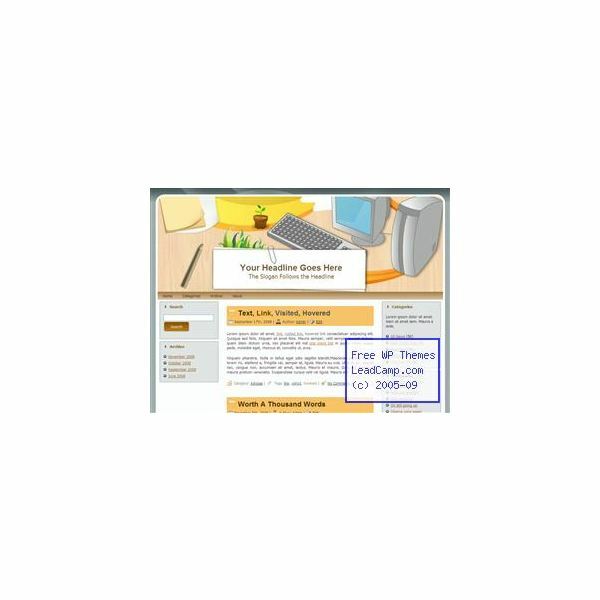 Home Office Desk, another free WordPress theme, stands out for its vector-appearing header art featuring a typical home office workspace. It’s a fixed width theme (990px), built in 3 columns with a left and a right sidebar. It also comes with extensive theme options to allow you to easily configure the blog to your liking without having to muck about in CSS. 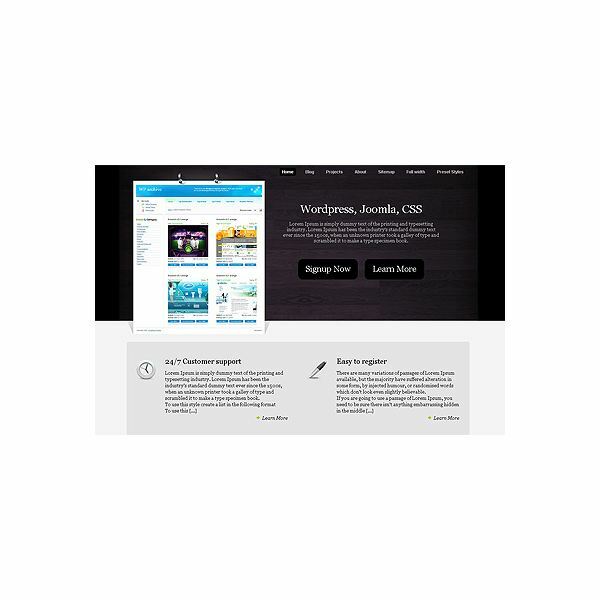 Home Office is a professional looking WordPress theme, with its muted gray-blues and warm oak background color. It’s a 2 column theme with a left sidebar. What makes this theme stand out is its little touches: an understated 3 dimensional page curl effect on the sidebar headings, drop shadows, and a header image that incorporates the RSS feed button as well as showcasing a classy home office setup. You’d think if you were designing a premium (read: paid) theme, you might give it a more interesting name than "Home Office." These folks didn’t, but for $25 you get enough bang for the buck to make up for it. The theme has too many features to mention, but some big ones include 9 color schemes, an SEO (search engine optimization) optimized layout with custom SEO settings, well thought-out typography, fully widgetized, and gravatar and threaded comments support. Additionally, Home Office has special areas for you to display your company’s special projects or benefits as well as drop down menus and easy management of ad banners and Google AdSense. Desk Mess is just as it seems: The WordPress theme looks just like a somewhat messy desk, with an iPhone, coffee, receipts and stubs, and Polaroids strewn across the top. A paperclip appears to hold the pages of your blog together, while pieces of tape "attach" the sidebar to the blog. Desk Mess is a 2 column theme, fixed width, and tested for valid XHTML. It’s widgetized and supports gravatars in comments, and it’s open source: released under a GPL license.